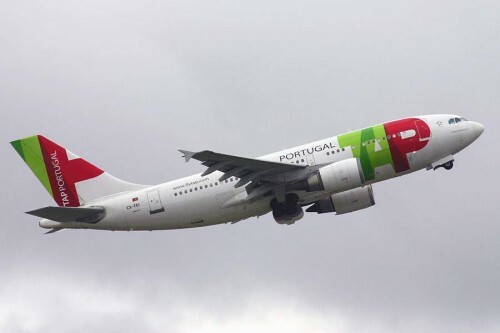 A popular Portuguese airline TAP Portugal informed us about a new promotion code they just launched. This means you can now save 15% off your order at TAP Portugal if you use this discount coupon. To get the promotion code, just click on the button below and then use the promo code during your booking at TAP Portugal’s official website. This 15% off TAP discount promo code is valid for departures from Portugal to Berlin, Brussels, Casablanca, Copenhagan, Geneva, Lyon, Munich, Paris, Sevilla, Tanger and Vienna. This discount code works only on reservations booked between 25th and 27th May 2016 so you better hurry up with your purchase! Travel dates for this coupon are not limited so you can actually travel at any time you want, which is very good and gives you a big flexibility to plan ahead your trip. To apply this promo code, just locate the Promotion code field on the TAP’s website (“Código de Promoção” in Portuguese). Then simply copy and paste the code in this field, confirm it and your price will be recalculated it. This field is located conveniently right at the homepage of TAP at the end of the booking form. You can actually add the promo code also later when you choose your flights – there is a “I have a promotion / congress code” checkbox at the end of the page. Tick this checkbox and small form will appear where you can paste this coupon code. We actually verified this discount coupon code for you so you can see it really works. In our example, we booked a return flight from Lisbon to Berlin on 14th to 21st June 2016. As you can see, the booking page sales “Promo code activated” which means that you already see discounted prices on the website with 15% off. TAP Portugal is the flag carrier airline of Portugal with headquarters at Lisbon Portela Airport which also serves as its hub. TAP is a member of the Star Alliance and offers almost 2,000 flights a week to 88 destinations in 38 countries worldwide. The company has a decent fleet of 77 airplanes, 61 of which manufactured by Airbus and 16 other are operated as TAP Portugal Express. Enjoy your discounted flight with TAP!